OK. We didn't actually cure it last time. But we helped! 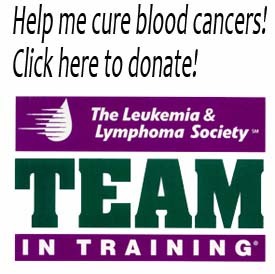 Last year we raised $1,200 dollars to help research and cure blood cancers. Leukemia. Oh yeah, I also ran a half marathon. One of the neatest things about raising money for the Leukemia & Lymphoma Society was getting to be a part of the training and education. 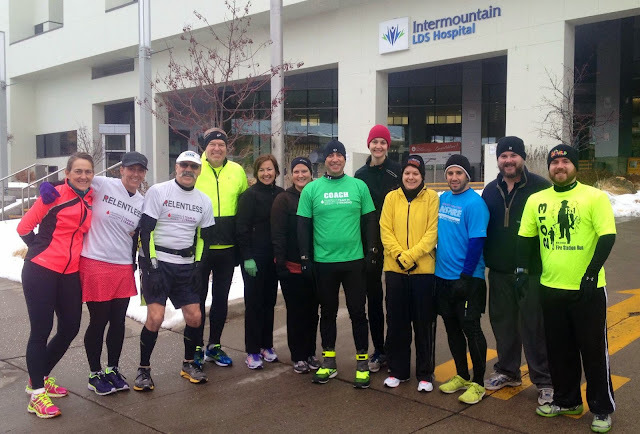 Each week, before our run, we would learn something new about what the organization does, and where the money we were raising was going. Some weeks we would get letters from survivors or people currently undergoing treatment. Sometimes they would come and visit us to cheer us on as we huffed and puffed our way around the Salt Lake valley. Multiple times I started my run with tears in my eyes. It was such a transformative and moving experience that I knew there was no way I could not do it again this year. So I've re-registered, and this time I'm running the FULL marathon. Well, running may not be the right word. There may be walking, and possibly rolling involved. And since I've doubled my distance, I've also increased my goal. This year we're going to raise $2,000. That's where you come in. Instead of constantly bombarding you with fundraiser posts, I'm going to attempt to do a few big events over the next few months to chop a few legs off the monster goal I've set. I will be posting more info about those as they come along. In the meantime, let's start off right. With some hope. Check out this awesome video that was shared with us last year before our race. Research like this is just one of the many things your donations will help fund. After watching, please click the image below and donate. Fire With Fire | Ross Kauffman from Focus Forward Films on Vimeo.